Woodford Homes is the Blue Mountains new homes builder of choice when it comes to custom design brand new homes. We can build straight from your plans, or if you haven’t got to that stage we offer a Home Design service wherein we’ll design and build your custom home. Just as every block is different, so too is every home – within these walls you’ll make your life. It’s just as important to us as it is to you that your home suits your lifestyle. Our Home Design service is personalized for that reason – it’s your home and your input, so you’ll be heavily involved in the design and build of your new home. You have complete control, but no stress! New Homes, Blue Mountains areas with fire resistant deck. The service begins with a site visit where we take a look at the shape of your block, the angle of the land, and have a chat to you onsite about your vision for your new home. We’re very used to building in Bushfire prone zones and sloping Blue Mountains blocks, but we’re equally comfortable building on the Penrith plains, and we’ll design your home to fit and flow with the lie of the land – just one of many benefits of using a local builder. Woodford Homes uses steel frame options to build a strong and stable home. 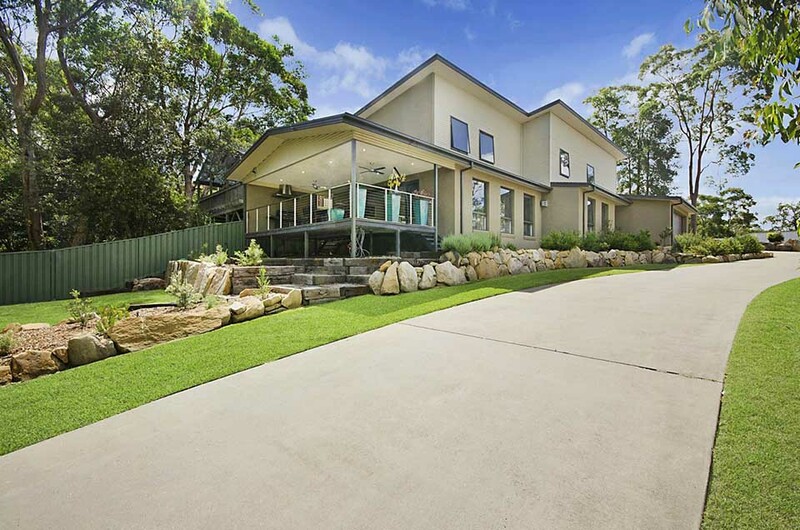 Single level, double story and split level are all achievable – just let us know what you’re picturing during the design stage, or if you’re not sure, we can help you to make a decision based on what best fits your Blue Mountains or Penrith block of land. Our commitment to quality really shines through when we’re building a new home – choose from wonderful finishing touches such as double glazed windows, brick veneer, weatherboard cladding, corrugated iron, rendering options using thermal cladding, and even a large range of roofing options in tiles or Colourbond roofing. Your Blue Mountains new homes is your dream, and your vision, but it’s our pleasure to help you achieve that vision with minimum stress. Let us walk you through every step of the process, from the initial designs to the actual build, right up to that wonderful moment where you take possesion of your brand new home for the first time. We have a range of quality suppliers and we can advise on the huge details and the little ones – so whether it’s cladding, flooring, kitchens or even the bathroom taps, please feel free to ask us! We’re here to advise and to assist, and most of all, to make sure we build your home exactly how you want it. Curious about our commitment to quality? Read about our Commitment to Workplace Health and Safety and our After Care Service. For all you New Homes Blue Mountains needs, contact us for a free inquiry on: 02 4751 9577.